The No. 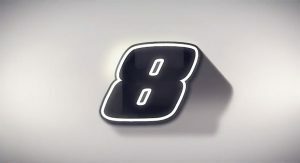 8 car is returning to the organization co-owned by a driver well-known for sporting that number on the side of one of his premier series rides. 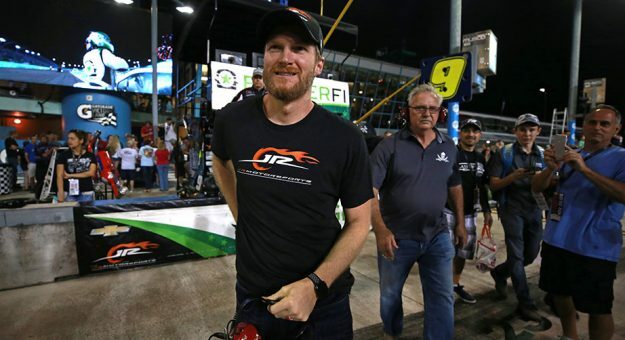 As part of an overall team car number shuffling at JR Motorsports for the upcoming season, Dale Earnhardt Jr. announced in a video on the organization’s social media channels that the No. 8 Chevrolet Camaro will be driven by a host of drivers, including Jeb Burton, Spencer Gallagher, Ryan Preece, Ryan Truex and NASCAR Next’s Zane Smith. Noah Gragson will pilot the No. 9 Chevrolet Camaro in his first full-time Xfinity Series season, while Michael Annett will shift to No. 1 on the side of his door, previously piloting the No. 5 for the team. Justin Allgaier will continue to drive the No. 7 ride. In 2018, Tyler Reddick won the Xfinity Series championship with the No. 9 car in his rookie season, while William Byron also took home the title as a rookie piloting the same number in 2017. — Gallagher will make his JRM debut at Daytona International Speedway (Feb. 16) and serve as the team’s restrictor-plate racer. He’ll also drive the car at Talladega Superspeedway (April 27) and the return event at Daytona (July 5). — Preece will compete in races at Atlanta Motor Speedway (Feb. 23), Auto Club Speedway (March 16), Pocono Raceway (June 1) and Watkins Glen International (Aug. 3). — Smith will make his NXS debut at Las Vegas Motor Speedway on March 2. He will also compete at Bristol Motor Speedway (April 6), both Richmond Raceway events (April 12 and Sept. 20), Dover International Speedway (May 4 and Oct. 5) and Iowa Speedway (June 16 and July 27) events. — Truex will drive for the organization at ISM Raceway (March 9), Las Vegas Motor Speedway (Sept. 14), Charlotte Motor Speedway (Sept. 28) and Kansas Speedway (Oct. 19). — Burton will drive at both Texas Motor Speedway events (March 30 and Nov. 2), Charlotte Motor Speedway (May 25), Chicagoland Speedway (June 29) and Homestead-Miami Speedway (Nov. 16).